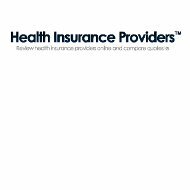 This Employers Mutual Health Insurance Company Review explores Employers Mutual LLC, an unlicensed health insurance company that defrauded approximately 22,000 people by early 2002. Employers Mutual LLC isn’t identical to publicly owned Employers Mutual Insurance Company of Des Moines, Iowa. Comparing your health insurance rates with health insurance quotes, at least once a year can save you money on health insurance—request your free health insurance quotes now by typing your zip code! Employers Mutual, LLC sold health insurance to individuals in every U.S. state. The fraudulent practices of Employers Mutual, LLC caused the company to be shuttered by the U.S. Government. People purchased health insurance from Employers Mutual, LLC through professional associations. The company marketed its “low cost” health insurance policies to individuals in search of inexpensive health insurance coverage. Although you can’t purchase health insurance from Employers Mutual, LLC, you can read about some of the ways the company defrauded customers of their money. Clients of Employers Mutual, LLC had many concerns about how to obtain health insurance after the company’s shutdown. Former clients were concerned about eligibility for emergency HIPAA coverage. Employers Mutual, LLC was actually considered “creditable coverage” under federal law. If an employer offered health insurance plans from Employers Mutual, LLC, employees were allowed to request emergency health insurance coverage from the U.S. government. Individuals who purchased Employers Mutual, LLC health insurance coverage directly, or through a professional association, were also considered to have “creditable coverage” from that insurer. The federal government defined “creditable coverage” as a company “required to be licensed to engage in the business of insurance” (29 C.F.R. § 2590.701-2 (2001); 26 C.F.R. § 54.9801-2T (2001); 45 C.F.R. § 144.103 (2001). Employers Mutual, claimed to have the licenses required by state departments of insurance to sell health insurance. Individuals who purchased Employers Mutual, LLC health insurance were offered Federal eligibility or HIPAA eligibility necessary to buy individual health insurance coverage from a state HIPAA program or from a health insurance company. Defrauded clients of Employers Mutual, LLC were also provided 30-day emergency health insurance access to a spouse’s group health insurance plan. In February 2002, an independent fiduciary (Thomas Dillon) was appointed as receiver by the federal court. Persons previously insured by Employers Mutual, LLC received special certificates as verification of creditable coverage by the insurance company. Outstanding claims of Employers Mutual, LLC were collected by the receiver. Former clients of Employers Mutual, LLC were directed to their state insurance departments. Graf previously lived in Canyon Lake, California. Kari Hanson, Graf’s girlfriend, entered a guilty plea concerning the misappropriation of health care benefit funds prior to his court date. William Kokott, identifying himself as the company’s chairman, died during the trial proceedings. He faced multiple criminal charges. According to court records, the Employers Mutual, LLC defendants bilked clients of $13 million plus premium dollars. The defendants told clients that Employers Mutual, LLC operated similarly to United Wisconsin Life Insurance Company, Golden Rule Insurance, or Sun Life Insurance Company of Canada. California state insurance laws require any insurance company to receive proper state certificate of authority prior to writing health insurance. The defendants claimed to operate under the U.S. ERISA laws (Employee Retirement Income Security Act of 1974). ERISA laws allow employers and organizations, such as associations, to offer health insurance plans to their members. In this instance, Employers Mutual, LLC operated its health insurance marketing scheme without the approval of state and federal insurance agencies. Save money on your current health insurance rates by comparing health insurance quotes from licensed insurance companies—provide your zip code to request money-saving information now!